Alkborough and Walcot Parish Council comprises of eight councillors who serve a four year term. The Parish Council meets on the first Wednesday in the months of March, May, July, September, November and January. Also in the month of May the Parish Council attends the Annual Parish meeting and also holds its Annual Parish Council meeting. In addition to these scheduled meetings it may also be necessary to hold shorter meetings in the interim for example when consulting on planning applications. The dates of meetings for the coming year are shown on the Minutes and Agendas page. Agendas are posted in the ‘Parish Box’ (noticeboard) outside the Coronation Club on Cross Lane and on the website at least three days before each meeting, and the venue is the Methodist Chapel on Front Street, Alkborough. The public are invited and welcome to attend the Parish Council meetings to observe. The Chairman will usually give you the opportunity to speak directly to the meeting, although this is discretionary. Please note the Parish Council Recording of Meetings policy. Ward Councillors are invited to attend meetings, as is a representative of the Alkborough Residents' Association. Communication from the Neighbourhood Action Team is also provided. Alkborough and Walcot Parish Council make all kinds of decisions on issues that affect the local community. Probably the most common items are planning matters (as statutory consultees), issues surrounding crime, managing open spaces, and lobbying for and delivering better services and facilities. The Parish Council has the ability to negotiate with and the power to influence those other organisations making final decisions, such as local government, health authorities, police etc. The Parish Council has the power to raise money through the Precept. This part of your Council Tax is set by the Parish Council and the money, collected from the billing authority North Lincolnshire Council, is used for the benefit of residents. The precept charge pays for the Clerk’s services, grass-cutting at the Church, Low Wells and the new cemetery, and for the maintenance of the parish clock. A proportion is spent on insurance and membership of the local council association - ERNLLCA, which provides professional advice when required. Grants are disbursed to those looking after the flower displays around the parish. The accounts are open to public scrutiny and will be audited by Smaller Authorities’ Audit Appointments Ltd from 2017 (prior to this the Audit Commission carried out this function). The Parish Council is also indebted to many volunteers who help in various areas and in a variety of ways which are mentioned in the sections below. The Parish Council is very grateful to all of those who so generously give their time for the benefit of the community. The Parish Council has sole responsibility for the upkeep, maintenance and management of the closed graveyard at the St John the Baptist Church and the ‘new’ part of the existing cemetery on Walcot Road. The ‘old’ part of the cemetery is the responsibility of the Parochial Church Council. The Parish Council also arranges the sale of burial and cremation plots and deals with correspondence and other matters with local funeral directors and members of the public. 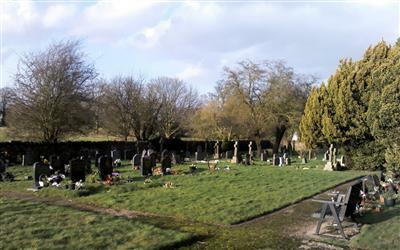 Please see the ‘Cemetery’ page for a full price list and Cemetery Regulations. interest from far and wide. 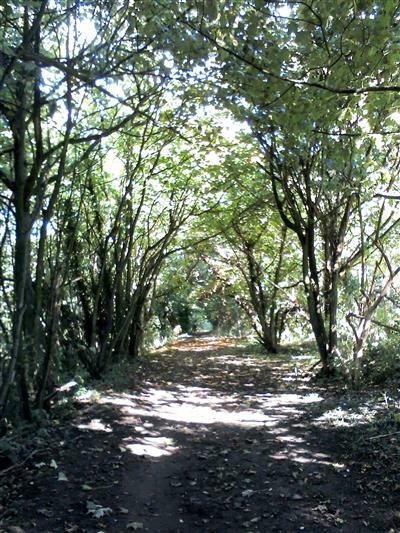 The Parish Council is responsible for liaising with the local authority on all issues relating to public footpaths, bridle paths, rights of way and highways. Various grit bins are located in the parish. The yellow bins are North Lincolnshire Council ‘Highway’ bins and the green bins ‘Parish’ bins. North Lincolnshire Council is currently responsible for replenishing both types of bin. 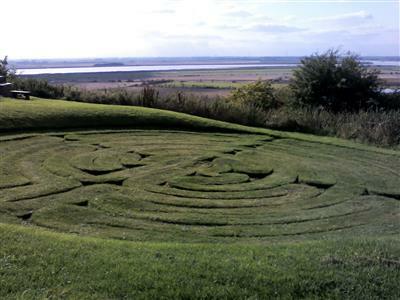 Julian’s Bower is an ancient turf maze situated on ‘The Cliff’ overlooking the confluence of the rivers Ouse, Trent and Humber and Alkborough Flats Nature Reserve. 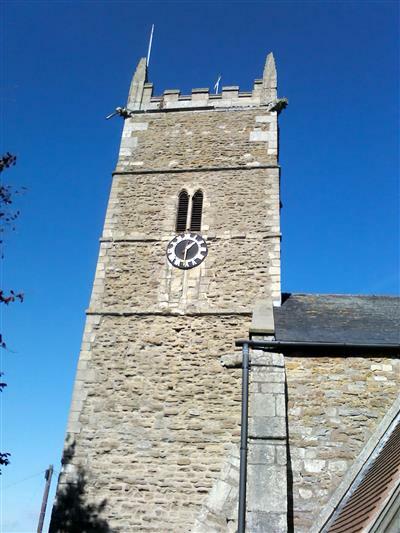 It is a scheduled ancient monument and can be accessed from Back Street. 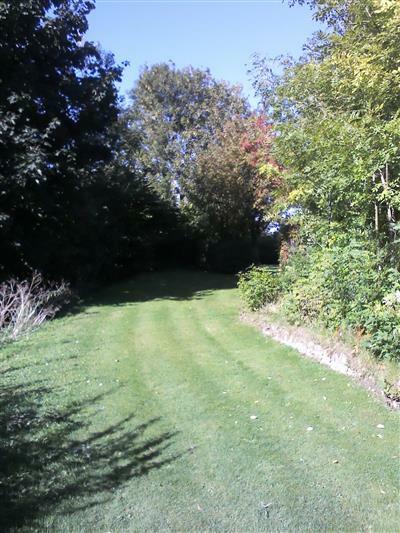 The Parish Council owns the actual Maze (but leases the grassed area surrounding it) and is responsible for its upkeep, maintenance and management, and the funds and grants received for this purpose. Alkborough Julian’s Bower Fund is a registered charity no. 1096732. The Maze is managed by a Board of Trustees numbering 4 (which includes three parish councillors). Kell Well is a spring that discharges from a point just below the top of The Cliff escarpment west of the hamlet of Walcot and flows down the west facing cliff to the flooplain of the River Trent. Kell Well is sited on private land but accessible to the public by kind permission of the landowner, via a spur path from the nearby bridleway. 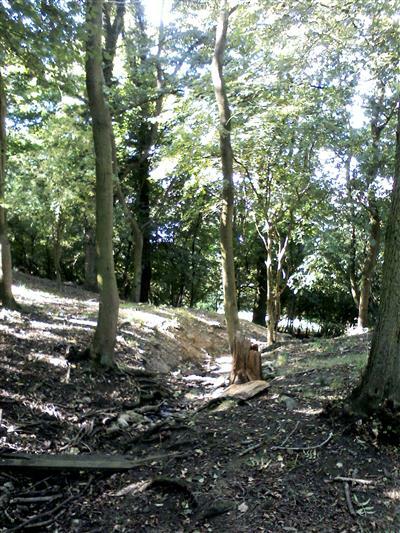 In 2000 thanks to a grant the Parish Council made the site access safe with wooden fences and steps. 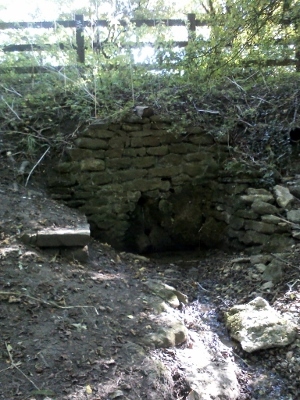 Low Wells is a site of local historic interest. Fed by springs, it was a place for the watering of cattle and horses comprising brick arches, stone trough and cobbled approach. A village pump used to be sited here in the early 20th century. 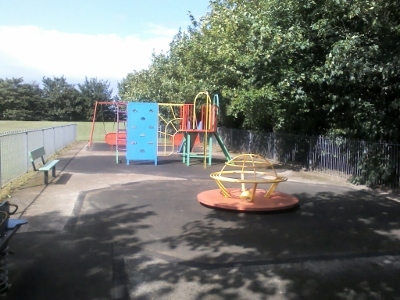 The area was registered as a village green in 2012. The Parish Council assume responsibility for Low Wells and pays for grass cutting there. 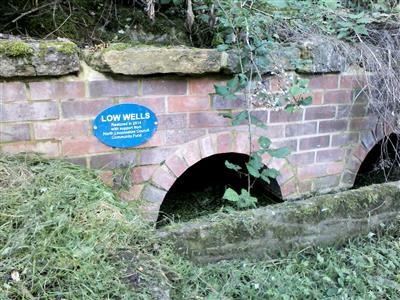 2014 has seen the restoration of Low Wells thanks to a North Lincolnshire Council Community Grant. To access any of the above documents please contact the Clerk to the Parish Council. The Parish Council was successful in obtaining a grant to develop the Parish Plan. A committee was formed to deliver the final document back in 2007.
also be reported to the Parish Clerk for attention. An annual safety inspection is carried out by a qualified organisation. 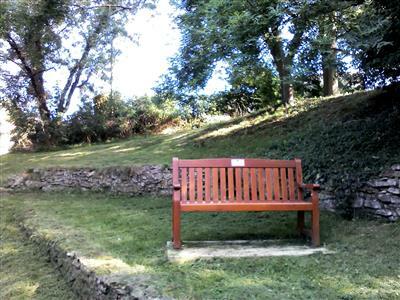 There are several benches in locations around the parish. Some of these were installed as part of the Millenium celebrations. Recently volunteers have adopted all of the benches and kindly give their time to the upkeep of their particular bench, stain and brushes being provided by the Parish Council. The Parish Council is responsible for the upkeep, maintenance and insurance for all public flower beds and the village signs. 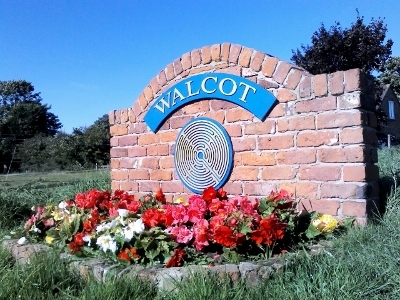 The Parish Council obtained grant support and worked with the local authority to provide the new village signs, which are made of old bricks from Flats Farm. Flats farm was demolished as part of the Humber Shoreline Management Plan. It is generally accepted within the parish that the Parish Council have responsibility for the upkeep of the War Memorial. 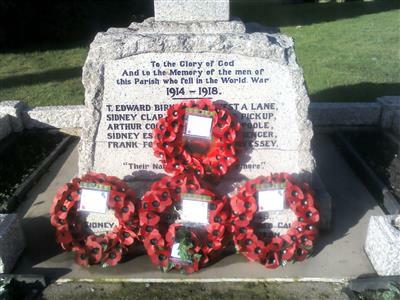 In conjunction with the 100th Anniversary of World War 1, the Parish Council was successful in being awarded a North Lincolnshire Council Community Grant for cleaning and refurbishment of the War Memorial. This work was carried out in January 2015 and has greatly enhanced the appearance of the Memorial for this very important anniversary.